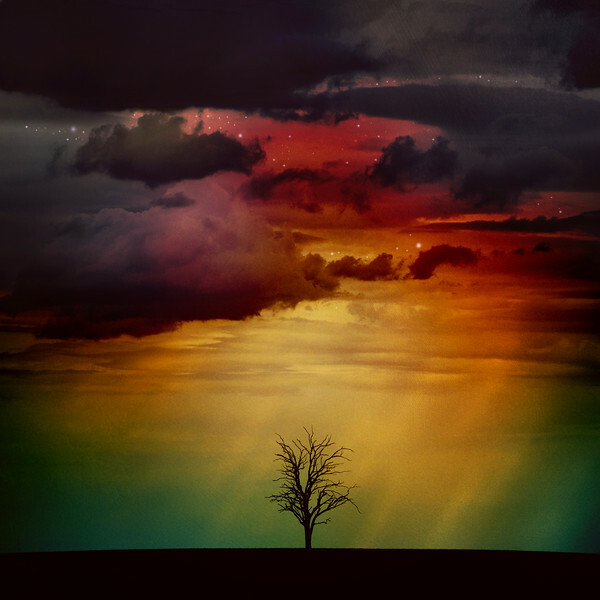 Lone leafless tree in a field silhouetted against a colourful night sky. Grunge textured digital manipulation. Textures by Mextures and Dirk Wuestenhagen.